Any of us who have bought computers know the scenario well: By the time you get the machine home, there's a faster model available for less money. Unfortunately the opposite is true in most high-end audio components. While there are good-sounding, reasonably priced bargains around, the trend seems to be toward more and more expensive equipment. 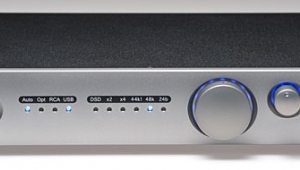 A top-of-the-line preamp now fetches over $7000, a figure inconceivable a decade ago. 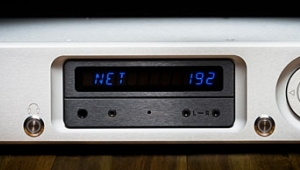 The price/performance ratio of one high-end audio product category, however, more closely parallels the computer industry: digital to analog converters. Every few months, new processors come along that bring better and better sound at lower and lower prices. Digital's improved performance and lower prices have not been nearly as dramatic as those of computers, but the trend is nevertheless toward increased musicality for less money (footnote 1). There are several reasons for this. First, digital processor designers are rapidly moving up the learning curve; today's processors reflect the lessons of previous efforts. Second, many more manufacturers offer digital processors today than did even a year ago; the chance for better products is increased purely on a statistical basis. Finally, the fierce competition in this hot product category has driven designers and manufacturers to strive to offer the best value possible. 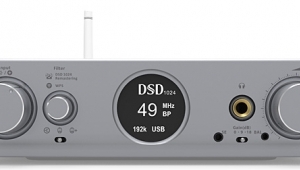 No digital processor exemplifies this trend more than PS Audio's new UltraLink. The $2000 unit is the least expensive (by $1500, no less) processor to use the 20-bit UltraAnalog DAC. 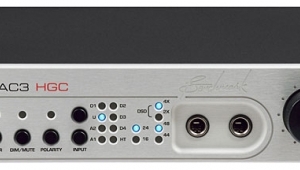 More important, its sonics and musicality seriously challenge the best of today's digital converters, regardless of price. The UltraLink shares the same chassis, styling, and front-panel touch switches as the SuperLink digital converter I reviewed back in April 1991. The ¼"-thick front panel holds four touch-sensitive switches and 10 LEDs. 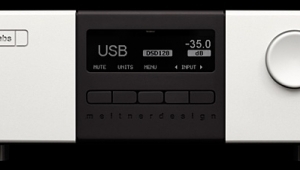 The hum-activated switches turn the unit on and off, invert absolute polarity, and select between one of three digital inputs (four with the optional AT&T interface). Although the power switch appears to turn off the UltraLink, the circuitry remains fully powered as long as it is plugged in (footnote 2). The input selector and polarity-inversion switches are accompanied by small green status-indicating LEDs. On the unit's right-hand side, additional LEDs indicate the incoming sampling frequency, if the unit has locked to the input signal, and if the incoming data has been pre-emphasized. The PS Audio logo panel and small curved handles finish off the front panel. 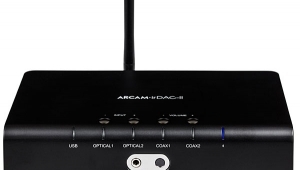 The chassis rear provides two coaxial digital inputs on gold-plated RCA jacks, a digital output (on an identical RCA), and a Toslink optical input. The UltraLink can be ordered with an AT&T ST-type optical input for an additional $200. The analog output appears on a single pair of gold-plated RCA (unbalanced) and XLR jacks (balanced). An IEC AC line jack finishes off the rear panel. The first thing I noticed after removing the top cover was the UltraLink's power supply. 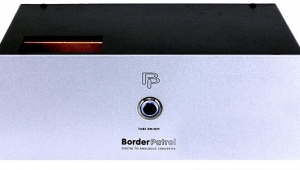 PS Audio has always placed a high priority on the power supply's sonic contribution, a tradition expanded upon in the UltraLink. The supply features two transformers (one of which has two secondary windings), three full-wave bridge rectifiers, and nine regulation stages. Each regulator has a 2700µF electrolytic capacator at the input and a 470µF electrolytic cap at the output. All the power-supply caps are bypassed with 0.1µF Mylar types. Additional filter caps are distributed around the board next to the circuits the rails supply. In all, the UltraLink has over 38,000µF of power-supply capacitanceas much as some power amplifiers. The nine regulation stages supply ±15V to the left analog output stage, ±15V to the right analog output stage, ±15V to the analog portion of the DAC, +5V to the "dirty" (noisy) digital circuitry, +5V to the "clean" digital circuits, and +12V for the relay and housekeeping. The "clean" and "dirty" digital signal paths are separated by a pulse transformer. The input decoder chip is the ubiquitous Yamaha YM3623B, [which will not pass data with a bit depth >16] but implemented with a jitter reduction circuit. 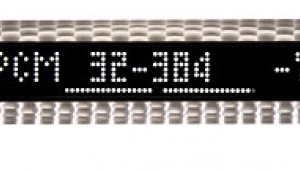 An NPC SM5803 digital filter performs 8x-oversampling. This is the same filter used in the Mark Levinson No.30 reviewed last February. 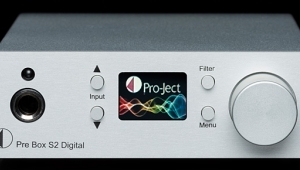 The filter's digital outputs are fed to a two-channel UltraAnalog 20-bit DAC for conversion to analog. The DAC outputs are split to create a balanced signal; the analog output stage is balanced from the DAC to the XLR output jacks. The output stage is based on op-amp gain blocks followed by a discrete unity-gain buffer. The op-amps, whose identity has been intentionally obscured (footnote 3), are biased into class-A operation by an active current source. The unity-gain buffer is a discrete complementary class-A design. The feedback loop encompasses the entire output stage, from the first op-amp to the output buffer. Although the output stage is direct-coupled, no DC servo is used. 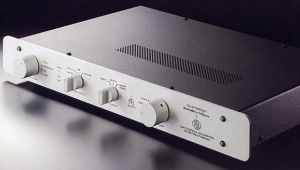 This is made possible by the op-amps' low offset and a DC offset adjustment (a trim pot) connected to components inside the UltraAnalog DAC. The analog output filter, which removes the 8x-oversampled images, is a modified third-order active Bessel type. It reportedly has less than 3° of phase shift at 23kHz. The filter is unusual in that it is not in the signal path. Instead, it acts as a "Frequency Dependent Negative Resistor," shunting high frequencies to ground. This characteristic gives the filter its acronym, FDNR (footnote 4). A relay disconnects the analog outputs when the unit is not locked to a data source, or when the power on/off switch is in the off position, preventing loud glitches from appearing at the output. De-emphasis is performed in the digital domain by the NPC filter chip. This eliminates de-emphasis tracking error due to resistor and capacitor component tolerances, and obviates the need for components (usually a FET or relay) to switch in the de-emphasis circuit. The entire circuit, including transformers, is mounted on a single thick (0.093") printed circuit board. Overall, I had a very favorable impression of the UltraLink after looking inside. The unit is well made, nicely finished, and gives the impression of a fully realized design rather than a first iteration. I have one complaint, however: the ST optical input jack was slightly offset from the small chassis hole. This made it difficult to lock some optical cables' bayonet connectors onto the jack. A larger hole or closer-tolerance jack centering would solve the problem. At first listening, I was struck by the UltraLink's resemblance in some ways to the extraordinary and expensive Mark Levinson No.30. No, the UltraLink isn't a challenge to the No.30, but, remarkably, they share some important performance attributes. I tend to write my impressions of a product's sonic performance in the order of its most salient and identifiable characteristics. Following this trend, I must start with the UltraLink's soundstaging, for this aspect most impressed me. The UltraLink threw a huge, transparent, focused, clearly delineated soundstage between the loudspeakers. The sheer sense of size, air, space, and tangibility of image outlines was remarkable. Switching to the UltraLink gave a "bigness" and bloom to the music. Instruments were tightly focused and surrounded by air, rather than homogenized and bunched together. The presentation was the antithesis of what JA describes as "cardboard cutout" images. Instead, each instrument had an individual identity within the presentation. This gave the music an appealing immediacy and palpability. Soundstage width was remarkable, the loudspeakers very easily disappearing into the music. For example, the guitar solo on "Who's Smoking?," from Paquito D'Rivera's Havana Cafe (Chesky JD60), seemed to exist far to the right of the right loudspeaker (footnote 5). There was also a good sense of depth, but I felt the UltraLink was bested in this respect by the Kinergetics KCD-55 Ultra. Although the UltraLink had greater size, transparency, and air, these were confined to the front of the soundstage. The KCD-55 Ultra presented a greater impression of distance between the listener and the rear of the hall. In the ability to resolve space, however, the UltraLink was clearly superior. Recordings with a feeling of sizeClark Terry's Live at the Village Gate (Chesky JD49), Luke and the Locomotives (AudioQuest AQ-CD1004, especially "Feel Like Going Home"), and the Paquito D'Rivera discwere portrayed with a huge, open transparency unmatched by any processor save the No.30 and the Theta Generation III. The UltraLink also seemed to resolve heightthe reflections from the drums off the ceiling in the Clark Terry disc, for exampleadding to the enormous spaciousness thrown by the processor. I was further impressed by the UltraLink's crystal clarity and transparency. There was no hint of opacity, veiling, murkiness, or other similar characteristics that tend to diminish the feeling of instruments existing in the room. Although some reviewers shy away from the over-used descriptor "palpable," I found it particularly appropriate to the UltraLink. Instruments and vocals just seemed to hang in transparent space in the listening room. It was like taking a step closer to the music. Overall, the UltraLink's soundstage presentation had much in common with the No.30 and Theta's Generation III. With the transparent rendering came an excellent resolution of inner detail. The fine structure that takes so much away from the music when it is missing was beautifully portrayed by the UltraLink. This ability to reveal lots of fine detail without sounding etched or hyped is directly linked to how interesting and compelling the music is. Processors that don't present this fine structure tend to rob music of its captivating power. On my recording of acoustic guitar and bass from the first Stereophile Test CD, there was so much more detail in the guitar. Every nuance and subtlety was conveyed by the UltraLink, yet the presentation was definitely not etched or hyped. Although similar to the No.30 in this respect, the Levinson had not only more inner detail, but also presented it with finer gradations of salience and subtlety. The UltraLink's next most impressive aspect was its ability to convey the fine dynamic structure of music. There was a tightness, speed, and razor-sharp leading edges that made music more compelling. I tend to notice this mostly on drums, the suddenness making them stand out from the presentation to better convey their rhythmic contribution. In this regard, the UltraLink was very much like the No.30, but to a lesser degree. However, the UltraLink's ability to present the sheer sense of slam important to some music did not match the No.30 or the Theta Generation III. In these areassoundstage transparency and focus, portrayal of fine dynamic structure, and resolution of inner detailthe UltraLink was extraordinary and among a handful of the best processors I've heard, regardless of price. The lower bass was tight and well-defined, but the midbass was a little lean compared with the KCD-55 Ultra and Theta Generation III. However, the dynamic impact of bass drum was superior through the UltraLink (in relation to the KCD-55 Ultra). The KCD-55 had a midbass warmth and fullness that I preferred. Bass guitar lines had a more satisfying "purr" through the KCD-55. 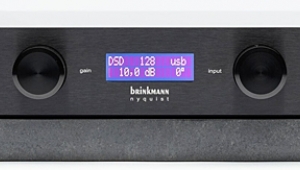 My system tends to be a little lean in the midbass, suggesting that listeners whose loudspeakers have underdamped bass alignments may find the UltraLink's midbass leanness ideal. The UltraLink's bass extension and speed were superb, contributing to its excellent sense of pace. Neither processor's bass, however, was in the same league as the Generation III's extraordinary LF reproduction. But that's a story I'll save for next month. The treble quality was excellent, with extension, air, and good detail. Moreover, it was relatively free from the metallic hash that seems to overlay the treble in most digital processors. I notice this most on cymbals: the instrument can sometimes degenerate into a white-noiselike splatter that constantly calls attention to itself. In treble cleanliness and purity, I felt the UltraLink was slightly superior to the KCD-55. The UltraLink, however, didn't have the treble smoothness and the accompanying sense of ease of either the Linn Karik/Numerik CD player or the Mark Levinson No.30. The UltraLink was less analog-like than these two products. Nevertheless, the treble didn't constantly make me aware of its presence as a separate entityalways a bad sign. As much as I liked the UltraLink, there was one presentation aspect that I found not always to my liking: a slight forwardness in the midrange. When comparing the processors, I felt that the UltraLink was consistently louder, despite evidence from my voltmeter that levels were exactly matched. I came to realize that the UltraLink's up-front midrange was creating this impression. Instruments whose energy was primarily in the midrange to upper midrange seemed to be thrust forward in the soundstage. Although this gave the presentation a vivid immediacy, it could become overbearing with some music and with long listening sessions. Examples of instruments and recordings that I felt were too forward were Robert Lucas's harmonica on Usin' Man Blues (AudioQuest AQ-CD1001) and Paquito D'Rivera's alto sax on Havana Cafe. By comparison, the KCD-55 positioned the images slightly behind the loudspeakers, creating a greater feeling of pulling the listener into the music. The KCD-55, however, lacked the UltraLink's sense of transparency and bloom around the images. Similarly, the Generation III had a greater sense of ease. On some music, however, I enjoyed the sense of energy and vitality contributed by the forward midrange. Rock, fusion, electric blues (CG was right about Buddy Guy's Damn Right I've Got the Bluescheck it out) and some jazz had greater power, drive, and involvement than through the KCD-55 because of this. On acoustic music recorded with natural reverberation, the KCD-55's more delicate, gentle rendering was preferable. Incidentally, the forward midrange was more apparent through the unbalanced outputs. The balanced outputs seemed to lessen the midrange forwardness, improve the soundstaging, and add weight to the bass. Interestingly, I had the same criticisms of PS Audio's SuperLink: "somewhat dry and forward midrange" and "feeling that the three-dimensionality was confined to the front of the presentation." Because I believe that high-end designers can tailor the sounds of their products to fit their own sonic preferences, the UltraLink's midrange forwardness is most likely perceived as "just right" to designer Bob Odell. Many listeners may thus find the UltraLink's forward presentation to their liking. As always, an extended audition is mandatory. Overall, the UltraLink's musical performance was superb. I would have liked a little fuller midbass and a less forward midrange, but these criticisms are minor in relation to the UltraLink's best qualities. 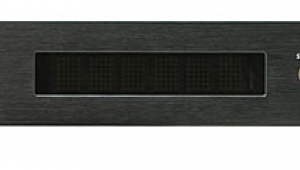 The PS Audio UltraLink offers many aspects of high-end digital processor performance at an unprecedented price. The product's soundstage transparency, focus, sense of air, and palpability have not been equaled at this price level, in my experience. Indeed, the UltraLink rivaled the $14,000 Mark Levinson No.30 in these areas. Moreover, the UltraLink's resolution of transient leading edges and dynamics were superb by any measure. The overall presentation had much more in common with state-of-the-art digital processors than with comparably priced competitors. Without taking anything away from the UltraLink's achievement, I should point out that its midrange forwardness may not be to every listener's liking. While this characteristic imparted a vivid immediacy and tangibility to instrumental images, it could become overbearing on some music and recordings. I therefore strongly recommend an extended audition before making a purchase. I found the build quality and execution first-rate. The additional $200 for the ST-type optical input is very reasonable and worth the money, provided you have (or plan to get) a transport with ST optical output. In short, the UltraLink is not only one great processor, it is also a great bargain. If I had $2000 to spend today on a digital converter, the UltraLink would undoubtedly be my first choice. Footnote 1: Doug Sax's dictum bears repeating: "Every digital product that's been raved about has been reviled a year later." Footnote 2: Leaving the circuit on all the time not only assures that it sounds its best without waiting for warmup, but also puts less stress on the internal components. Footnote 4: This term was not in the Sams Modern Dictionary of Electronics (sixth edition). Footnote 5: I don't know about other audiophiles, but I always close my eyes when listening. It seems to facilitate the willing suspension of disbelief in describing stereo reproduction. 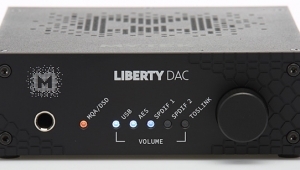 Would you recommend this dac over msb analog and Hugo TT or it is old to to step up and take over these two ? Re: Is the PS Audio UltraLink still a contender? 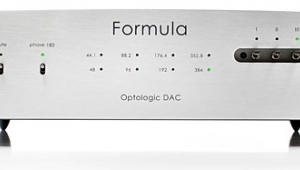 Would you recommend this dac over msb analog and Hugo TT or it is old to to step up and take over these two? 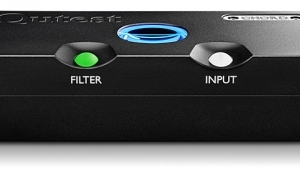 The PS Audio truncates data with bit depths greater than 16 so is not competitive with modern DACs. 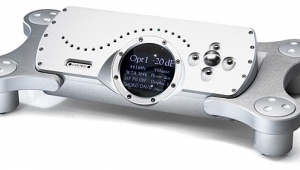 Will you review mola mola dac? No plans to do so at present.